We had a blast at LEGOLAND California Resort's Brick or Treat this weekend. 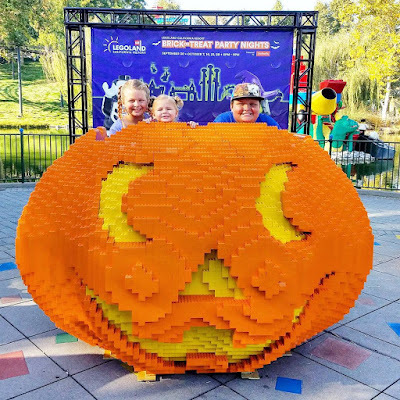 One of my favorite things is the giant LEGO jack-o-lantern. I'm really trying to figure out how to put one of them on my front porch. I don't think my neighborhood HOA will mind at all, do you?